SEO Risks List: What Need to Take and Avoid? Home » Blog » SEO Risks List: What Need to Take and Avoid? Risks are very common in business world. However, there are multiple SEO Risks to Take and Avoid for every SEO expert as well as online business. While dealing with search engine optimization, one must be aware of some misunderstandings which are to be taken care of as some simple mistakes can easily increase difficulty of decision. With the help of an effective SEO strategy, you can yield some positive marks for the company with some months in hand. The tactics might not make some perfect sense for the non-SEO workers. But in reality, it can create some significant improvement in company’s online profits and exposure. Why would anyone want the company’s link to feature on another one? Backlinks as established section of SEO and most companies want those to build authority and increase ranking. But, sometimes you need something a bit more. You might lose some visitors by providing link to other sites, but you are showing Google that you are referencing reliable sites with authority. Just remember, websites knowingly feature links to some spammy and malicious websites and might get penalized by Google. 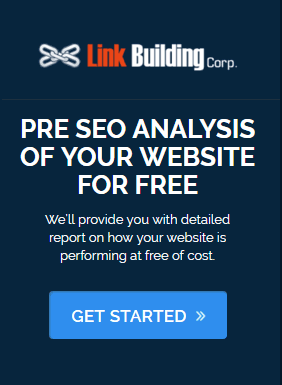 If you add too many links, you site might get penalized for poor quality. The main aim of SEO is to gain some traffic and working on website’s transaction. That won’t happen if anybody fails to click on website. So, what if you are willing to get keywords for website ranking but no one bothers to click on it? There are so many reasons for that, and it will take time to figure out the result. The only proven way is A/B testing, associated with Best Link Building Strategies now. You have to take one element and test that against new variation. What is the risk then? It is more like trial and error to catch up with correct work and layout combo which will result in maximum website transaction and traffic. You will come across a combination that will not work and ends up reducing traffic. The risk is true but worth it as you can focus on that element and continue driving more traffic with better returns. There are some reasons for which, website owners might not renew their domains, which will make them readily available to buy and use. Buying such domains with a history on it and redirecting them to website can be an easy and quick way to increase number of some valuable backlinks, which will add link juice to website. But, this technique of International SEO Practices might come with some serious risks. So, you better perform the task when you are absolutely sure of that. The domain needs to be related to business. It has to be legitimate and professional as it will still receive traffic and rankings and those visitors are going to be redirected to site. So, nothing is more frustrating that arriving on site which is not related to organic search. Moreover, expired domains filled with spammy links and content will also get transferred to your site, causing some permanent drop in ranking and further getting penalized. The homepage URL needs to be short with company name. It has to be concise and well to remember. The subsequent pages must have targeted keywords and need to be more specified about content of webpage. If you don’t want the URL to get out of your hand, avoid using long and descriptive ones. Here, the risk is that any change can impact ranking. As you alter older URLs and 301 redirect traffic to the newer ones, that might degrade the ranking a bit more. But, if you perform the tasks right you will end up with streamlined structure, appealing to users and search engines. It can prove to be one of the best SEO Trends For 2018. Website has to be redesigned every now and then. These designs are risky and expensive, along with time consuming. But your site needs a facelift to avoid looking outdated. You can further optimize it for search engines but humans might find it hard to navigate then. There are so many reasons to look at website and consider reconstructing. These changes come with some risks as Google might re-evaluate site. So, the risk is associated with alienating consumers who might have grown accustomed to website. But, Google understands that websites might sometimes go through overhauls. So, the rankings will bounce back with time. You just need to hold your horses. Once you are sure of the ways on How to Get Quality Backlinks and the risk involved with SEO, there are some ideas on risks, which are genuinely harmful for your business growth. It might seem logical to have targeted KW as anchor text for website’s link. At the end, your main aim is to make your site rank for that particular phase or keyword. The practice has been quite popular for SEO experts in past with the same logic. But, this practice got a lot of abuse by the black hat SEO users with its excessive amount of matching keyword usage and anchor texts for linking to website. The links are not going to come from authoritative sites. Right from that time, Google has cracked down on practice and will punish websites overdoing this service. So, avoid risking it. Look for some of the natural ways to link site and develop varied backlink portfolio. You can also focus at Tips on Content Writing for a change in this linking section. A good content can always work best in this regard anytime, for sure, to gain that missing traffic back to your website. Doorway pages are always termed to be easy to create and simple in batches for targeting specified keywords and groups. Some trusted SEO experts will avoid these pages as Google dislikes them and can penalize the site working on those pages. Google choice is enough to penalize your site. So you should not work on that. The only way when Google might slide down those pages is if those areas offer clear, unique and valuable information to site visitor. So, if the pages act like regular content on website then there are higher chances of Google dealing with it. Apart from that, you don’t have to bother working with these pages as these are not even worth the risk you are planning to take. 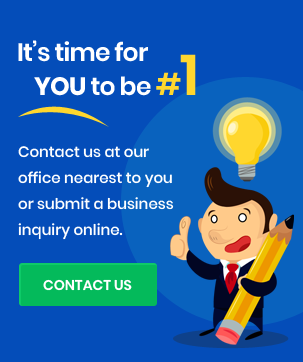 Willing to improve your website visibility? For that disallowing neutral backlinks might help you big time. You always have to eye for the god backlinks and avoid the bad ones. When it comes to neutral backlinks, those will do no good to your website and will eventually hurt the SEO and website ranking. Neutral backlinks might not work magic to provide website with the SEO boost it has asked for but they are not going to subject site to Google’s harsh penalties too. With the addition of Penguin update from Google, some penalties with bad links won’t have any control over site, which to link to theirs. So, it becomes quite hard for the site to get punished by Google for those malicious backlinks. The only easy way to denote if the backlinks on websites are spammy, low quality and bad is if you ever noticed that Google has taken some manual action against your site. If Google does not take any action against website, the backlinks are safe, even though they are not high enough quality for boosting the search rankings of the site. You can disavow some links but have to be quite careful to take this step. If you disavow neutral links, you are blocking those sites, which can potential help in ranking improvement. It is always a good idea to update content on website. It is true to state that Google loves updated and fresh content all the time. 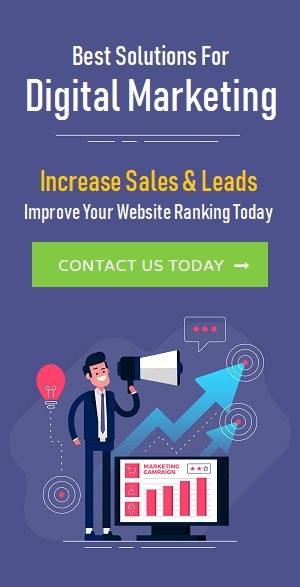 But, changing the content constantly and also the feel and look of website more than what is needed for SEO purposes might not go unnoticed by Google or the website visitors. Without even you knowing, it forms one of the basic SEO Mistakes people come across. Making way too many changes to online site or making changes more than what is needed might raise some red flags for Google. Then the search engine might think your website to be suspicious and can penalize it. With passing time, even the visitors might notice these changes, mostly if the changes are done for search engines and not keeping them in mind. In case something like this happens, the visitors might find your site quite hard to navigate through and finding value. Your visitors might even think your site to be rather suspicious in nature. Always try going for the reliable seo services now. It may seem like a piece of cake while deleting a page, mostly if that product or service has been discontinued. When you delete the page once, the keywords are now gone. The same will happen to URL of page, which add page-specified keywords. Instead of risking loss of ranking, you can keep the webpage event even if you discontinued the service. All you have to do is leave a message one page for visitors, which will redirect them to similar page with relevant service or product. It is one of the major Tricks to Increase Domain Authority. In case, you are condensing or even merging two pages, ensure to include 301 redirects on old URLs for ensuring that all link juice and traffic are there and not lost. SEO is no doubt highly essential for your online business, if you want it to succeed. There are so many risks revolving around the world of SEO. Some of those risky scenarios are worth giving a try as those options might end up producing some favorable results for business, only if you are lucky enough. There are some other risks available, which can do some harm and can also hinder the internet marketing strategy of the company along with its online presence. Even though SEO might be a bit risky, but avoiding the SEO practices can prove to be rather riskier for the company’s overall presence. Social media does have its own perks and shares of risks. So, before you even jump right into the very next campaign, you have to download the complete checklist from reliable sources online for ensuring that everything is quite ready to be working in your favor, just like you have asked for it to happen.